One of the brightest lights of the roots-influenced underground community for the past half-decade, Poland born Mateusz Miller has pioneered a compelling and unique fusion of sounds that encompass dub, reggae and dubstep under his Radikal Guru moniker. Inspired by an appreciation of soundsystem culture, his music has become synonymous with suffocating degrees of dread bassweight, vibrant and eclectic palettes of tone, and varying energy levels that cater for both dancefloor focussed ruckus and for more meditative listening. 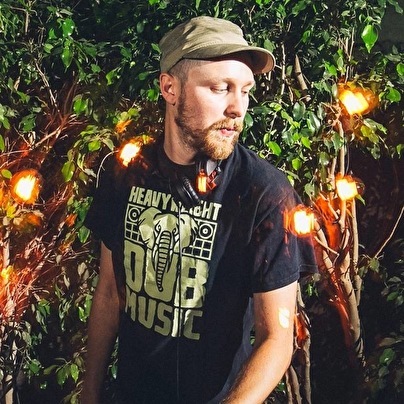 Heavily influenced by the likes of King Tubby and Scientist, Matt first gained worldwide acclaim and recognition through a string of killer vinyl releases on leading reggae/dubstep imprint Dubbed Out Records, before forming a creative partnership with fellow label Moonshine Recordings where he has gone on to cement his reputation as one of the strongest proponents of the scene. His Moonshine discography boasts highlights that include his debut LP 'The Rootstepa' and the mighty 'Dread Commandments' 12" or his second LP ''Subconscious'' that includes dancefloor killers like Stay Calm ft. YT or Warning ft. Echo Ranks. Keep an eye out for some seriously exciting developments in the pipeline including the release of his third album in 2016. Not only a talented producer, Matt is also a fine selector and deejay, conveying his passion for music through DJ sets that pay homage to the sound and culture's rich history as much as they showcase the freshest cuts of sonic innovation from himself and his contemporaries. He has hit spots all around the world as far afield as Russia or South Africa to assault soundsystems with bass-fuelled beats and positive vibes, including recent gigs in the US and Mexico. Catch Mat bringing heat to a series of festivals this summer with his new live act project in which he will be supported on stage by full brass section and guest vocalists !